It’s been a painfully slow start to the ski season in the Western U.S. Some places have seen record warm temperatures and record low snowfall, prompting resorts to open late. Those that cranked out fake snow had trouble attracting avid skiers who prefer the real stuff. And all this means an economic hit. A new report finds that a low-snow year can cost the U.S. winter sports industry up to $1 billion. Protect Our Winters, a climate advocacy nonprofit, says as the climate warms, winter activities like skiing, snowboarding and snowmobiling could end up contributing less to the overall economy. Low and variable snowfall is expected to become more commonplace as the climate warms. Across the West this year, ski resorts from Colorado to California have seen slow starts to their seasons amid the warmer temperatures and minimal snowfall. Last month Vail Resorts, which operates 11 destination ski resorts across North America, reported a 10.8 percent drop in skier visits in part due to low snow. Protect Our Winters also finds that less outdoor activity during low-snow years can mean up to 17,400 fewer U.S. jobs compared to an average season. Ski resorts do have snowmaking to fall back on. But places without that technology, like Diamond Lake Resort in Oregon, have had to use layoffs to cope with a slow start to the season. Rebecca Hill, the Colorado economist, says the new findings, and headlines from ski resorts this year, should prompt resorts to think about how they can adapt to survive. Figuring that out is Auden Schendler’s job. He’s vice president of sustainability at Aspen Ski Resorts and a Protect Our Winters board member. In the short term, Schendler says ski businesses are investing in better snowmaking tools. In the summertime, they’re investing in mountain biking trails and other activities that can generate income. 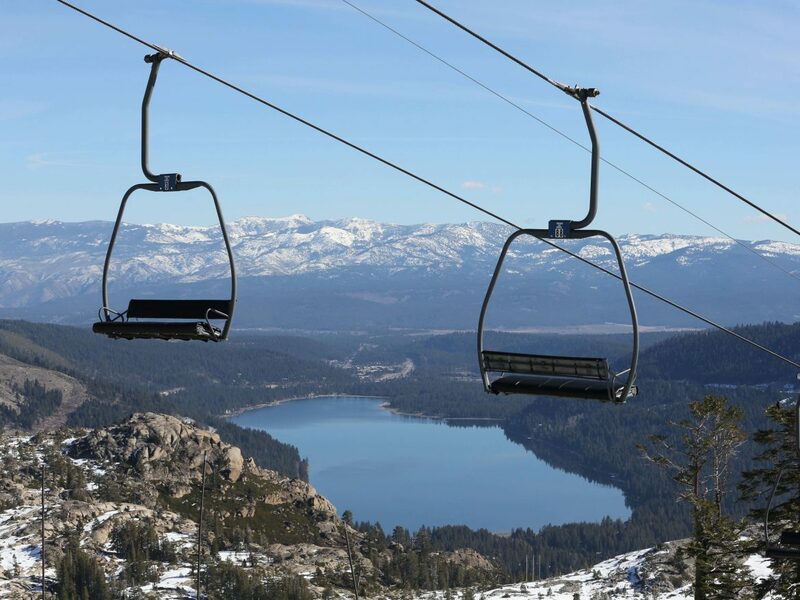 To prepare for a warming climate, South Lake Tahoe’s Heavenly Resort announced this week it’s considering removing rocks and trees that are obstacles in low snowpack years.